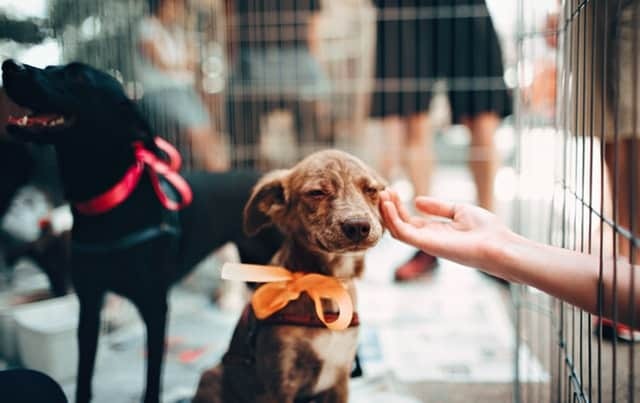 Whether you have just brought home your first puppy or you have recently adopted an adult dog, teaching your new pet the appropriate time and place to eliminate and providing a safe environment to rest are important for you and your pet’s relationship and emotional well-being. Before starting any kind of training, have your dog checked out by a veterinarian. Housetraining, or teaching your dog where and when to go, can be difficult if the dog is experiencing any kind of medical issue. 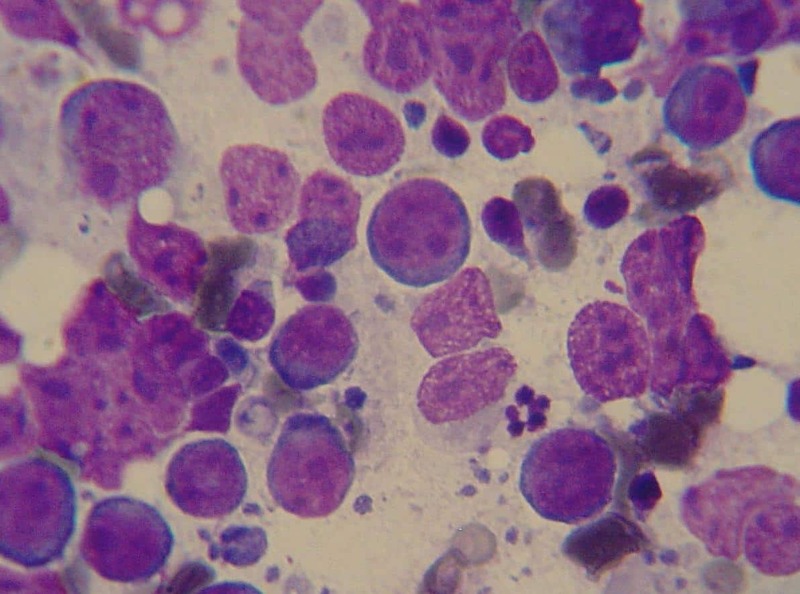 Urinating or peeing more than usual or in numerous areas both outside and inside the house, especially if your dog has just gone, could be a sign of a urinary tract infection (UTI) or bladder disease. Drinking more water than usual could also be a sign of a UTI or an underlying medical problem such as diabetes, kidney issues, Cushing’s disease and more. 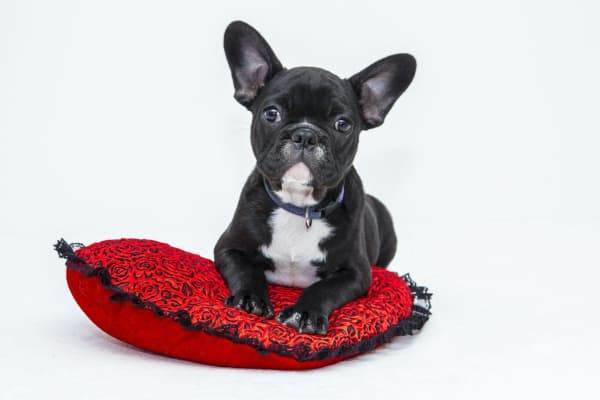 Runny stool or loose poop is not normal, even in puppies, and may be caused by some kind of parasitic or viral infection. Discuss any unusual symptoms with your veterinarian during your dog’s exam. 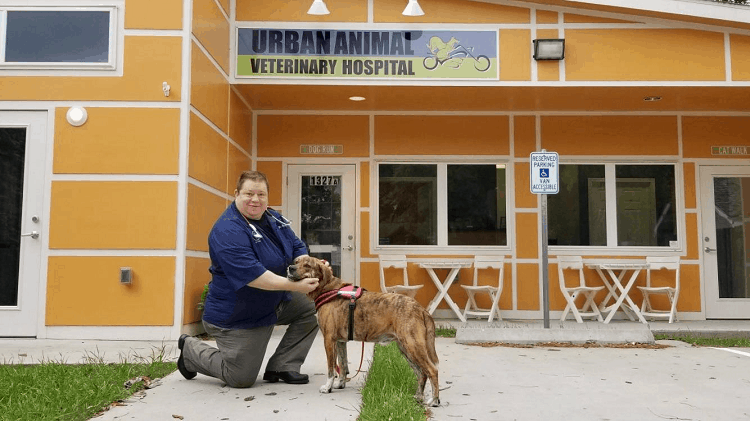 The veterinarian will be able to determine if any medical issues need to be addressed and what to do about them. Crate training teaches your dog to spend time in a kennel or crate. 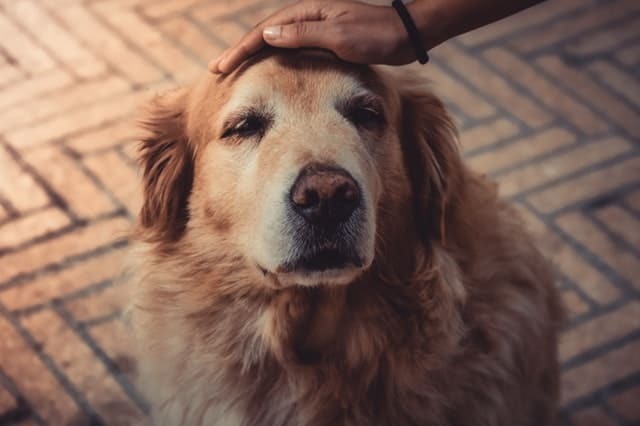 Dogs are naturally den animals, meaning that their natural instinct is to find a quiet area where they can escape when needed, rest, and recuperate from the day. By providing a crate to sleepin, you are giving your dog the perfect den. Most dogs won’t eliminate where they sleep and eat, so crate training can be a big help with housetraining. A crate also provides a dog with a safe place to go when scared or nervous. Plus, crates can be a great way to keep a dog out of trouble when you are not at home or are unable to provide proper supervision. Staying in a crate can prevent your dog from finding his way into your closet and eating your favorite shoes; having a feast in your garbage can; or urinating in a less than ideal place in the house. Crates, especially when you are beginning training, should be just large enough for dogs to sit, stand, lay on their side, and turn around comfortably. For large breed puppies, select a crate that can be sectioned off so that as they get bigger you can increase the size of the crate area. If a crate is too large, your dog may try to potty in one area and sleep at the other end.Aim to make the crate one of your dog’s favorite areas of the house. You can feed meals in the crate as well as use the crate for bedtime and naptime. You may also want to give your dog a toy that can only be enjoyed while in the crate. Make sure this is a toy that can be safely played with while unsupervised. Avoid using the crate as a place of punishment, such as time-outs for bad behavior. You don’t want your dog to associate special den with times of stress or fear. 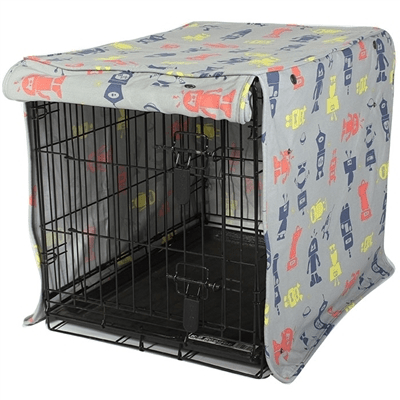 To get your dog comfortable with spending time in the crate, first add comfortable bedding and if the crate is all wire, cover 1/2 to 1/3 with a sheet or blanket, so it has a secure den-like feel. Once your pup enters the crate, give your dog a treat and lots of praise immediately. Once your pooch has grown accustomed to being inside, close the door for about 5 minutes. Praise your dog again once you let him/her out. Over several days to weeks, gradually increase the amount of time your dog spends in the crate. 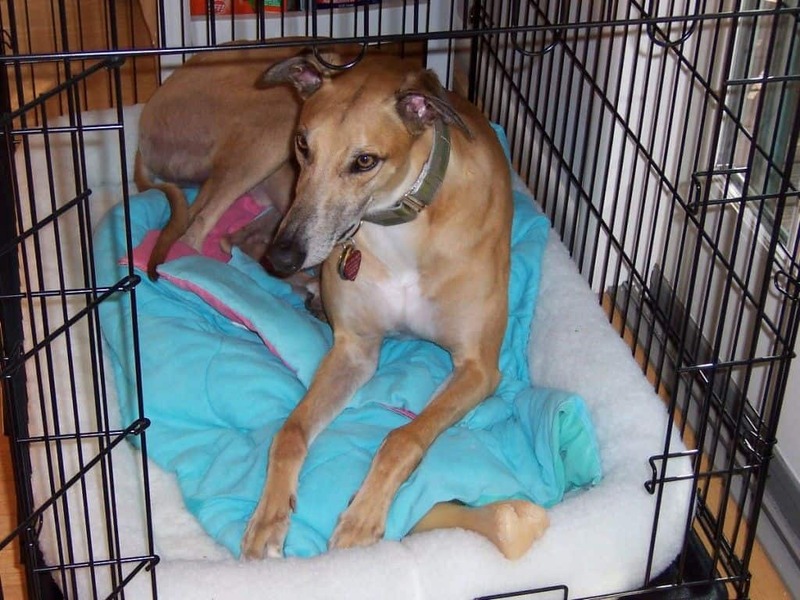 Crates can be a wonderful way to keep your dog safe and comfortable, but it is important to know your dog’s limits. No dog should spend the majority of the day in a crate. Puppies especially should be limited to the amount of time they spend in a crate to avoid elimination accidents and future behavior issues. A good rule of thumb for the maximum amount of daylight hours a puppy should spend in the crate at a time is to add one to the puppy’s age in months. For example, a two-month old puppy should spend no more than three hours straight in a crate during the day. After three hours, give the puppy a break from the crate, go outside to eliminate, and provide some time to play before putting her back in the crate. Dogs with separation anxiety can be difficult to crate train, and their anxiety behaviors may actually worsen if you attempt to keep them in a crate. Discuss your dog’s behaviors with a veterinarian. 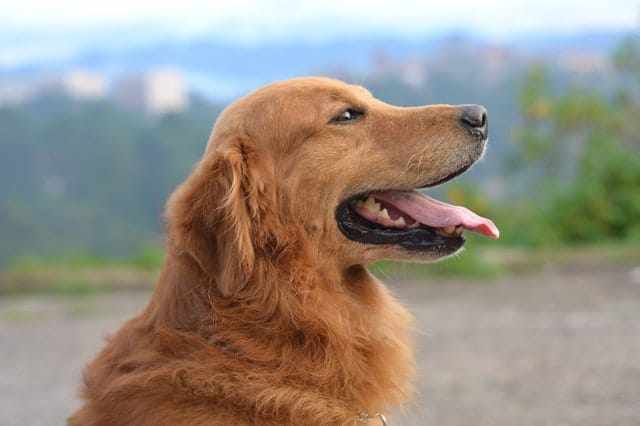 Your dog may need a combination of anxiety medication and behavior modification therapy, which is a different form of training to help dogs overcome some of their anxieties, before crate training can be successful. Puppies start learning to leave their family and den area to use the bathroom between three and 12 weeks of age. This means that some puppies may not be fully capable of learning where and when to use the bathroom before the age of three months. For those puppies that are ready to learn, they may not be able to hold their bladder for more than a few hours (typical of puppies less than 4 months of age). Why is that important to know? Owner expectations and the puppy’s ability to learn are not always in sync. Housetraining can be a lengthy and sometimes frustrating process. Housetraining an adult dog can also be difficult because she may have been going wherever and whenever was desired up until now. You will have the troublesome task of teaching your dog that previous bathroom methods are no longer appropriate, and on top of that, teaching brand new methods for elimination. Puppies and dogs will provide you with many opportunities for successful trips to go potty. Remember that what goes in will eventually need to come back out again. To help make timing bathroom trips easier, feed your dog on a consistent schedule, ideally two to three times a day. This way, 15 to 30 minutes after eating or drinking, you know it is time for a trip to the elimination area. Dogs, especially puppies, also tend to go right after playing or sleeping. A good rule of thumb during the beginning of housetraining is to take your dog out every two hours for the first couple weeks, plus after sleeping, eating, drinking, or playing. Be sure to take your dog out right before bed time too. Use a cue word such as “bathroom” or “potty” every time you take your dog to the bathroom area, so the dog will learn to associate the word with what you want achieved. Try to take your dog to the same area each time. In the beginning, you will need to go with your dog and make sure she actually poops or pees. If successful, immediately reward your dog with treats and praise. 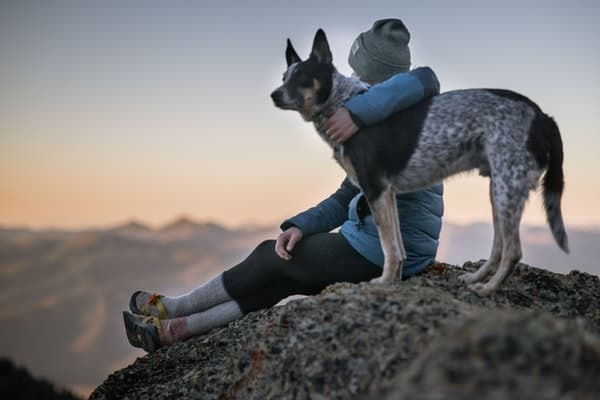 It may be helpful to lead your dog with a leash instead of carrying her to the elimination area so that going straight to the appropriate spot becomes a habit. Constant supervision is important when you begin housetraining your dog. You need to catch your dog in the act of going in the wrong place in order to correctly redirect your dog. If you find pee or poop on the floor, the dog will not understand and make the connection with why you are actually upset. Imagine being in a foreign country, with foreign customs, where you do not speak the language. Someone suddenly begins shouting at you over a mistake you made, which you are unaware of making because the local culture is so different. How are you to know what mistake you have made and when? How are you to prevent this from happening again? Given that you may be completely unaware that you have made a mistake, this person’s behavior towards you might just seem plain rude. At best, you will try to ignore that rude person and go about your business, right? So it is with housetraining! 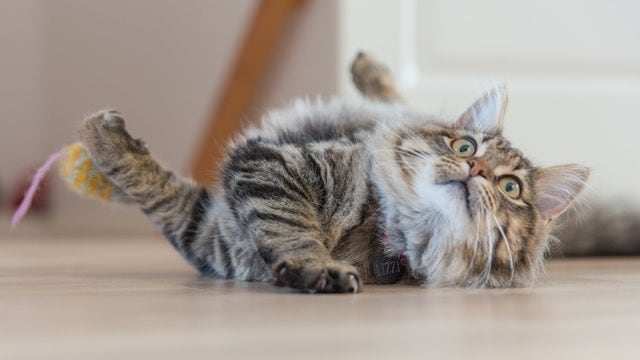 Catching your pet in the act of a mistake will help them correct it in the future. Rubbing your dog’s nose in hours-old pee, however, is probably just plain rude. If your dog does eliminate in the house while you are watching, interrupt immediately (such as with a squeaker sound or a sharp clap noise), and take him to the elimination area. Use your cue word. If your dog finishes going in the right area, give treats and/or praise. Keep an eye out for clues or signals that your dog needs to eliminate. Circling, wandering off alone, whining, or going to the door you typically use to go to the elimination area are common signals. If your dog is demonstrating any of these signals, stop what you are doing immediately and take him to the bathroom. If he uses the bathroom when you take him to the designated area, be sure to reward your dog with praise and/or treats so he will continue to provide these signals. Housetraining and crate training can be tough but rewarding. If you are ever in doubt as to whether you or your pet are on the right tract, call your veterinarian for advice. Otherwise, be consistent and persistent, and your pet will love you for it!